Andrew began drumming at the age of 9 the same way most kids in the 90s did, by listening to thrash metal and grunge rock and playing as obnoxiously as possible. Since then, he has discovered other styles, expanded to percussion, and has generally matured (just a little). His drumming has enabled him to travel the world as a cruise ship drummer; travel the USA as a member of varying Celtic, roots, funk, and rock bands; and establish himself as a go-to drummer and educator in Washington DC. 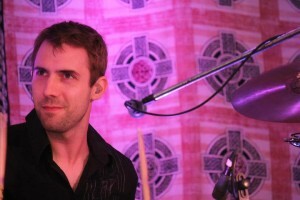 He is currently the drummer for Pigeon Kings. Copyright © 2019 Andrew Toy. All Rights Reserved.